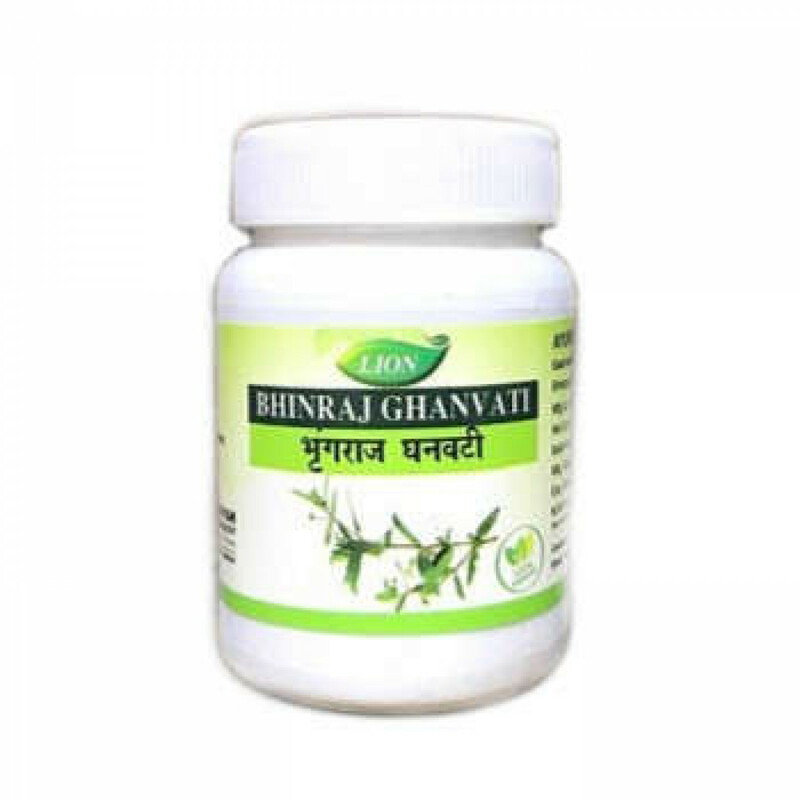 Bhringraj Ghan vati is a medicine used in poor growth and hair loss, premature gray hair. Bringraj is the main component of almost all medicine that improve hair growth. Also, iy is a good hepatoprotector, indicated for hepatitis, improves the production and movement of bile. 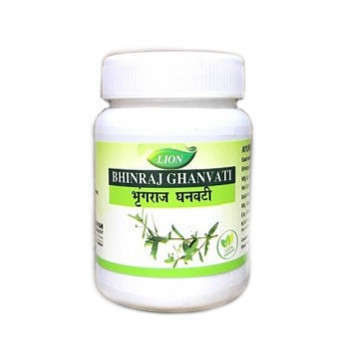 In addition, Bringraj is used in diabetes, is a tonic for the respiratory and digestive systems, is indicated for asthma, gastric ulcer, increased acidity and diarrhea. Bringraj refers to the group of rasayan - anti-aging medicines. It improves the functioning of the nervous system, memory, vision and hearing, maintains good condition of the teeth and nails. Indications: hair loss, alopecia, premature graying, hepatitis, hepatoprotector, gall bladder tonic, diabetes, tonic for respiratory and digestive systems, asthma, gastric ulcer, increased acidity, diarrhea, tonic for sight and hearing. Composition: extract from Eclipta Alba. Dosage: 1-2 tablets twice a day with warm water or as directed by your doctor. Original name: Bhringraj Ghan vati Lion. In our store You can buy authentic Bhringraj Ghan vati Lion at the best price!